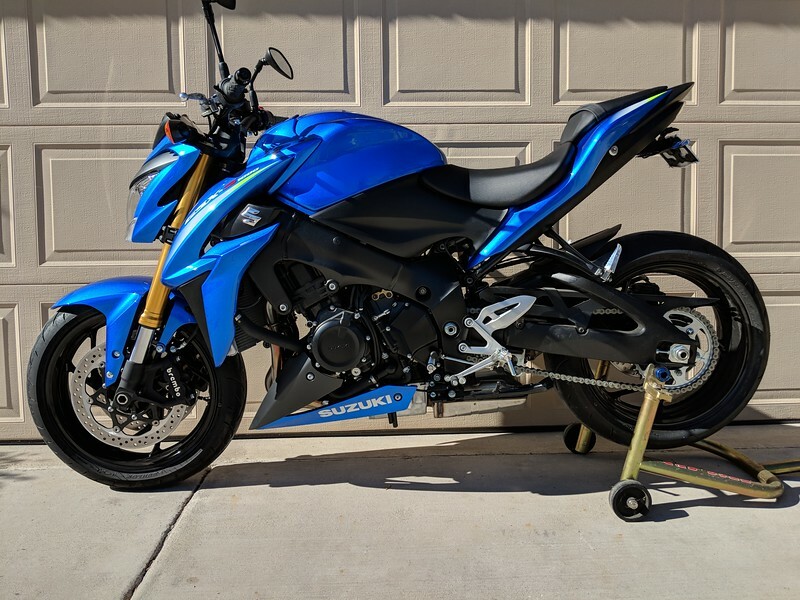 Looking to replace rear fender. Any thoughts or spare parts? Yoshi Fender Eliminator / License place. Easy install and exact fit for GSX. 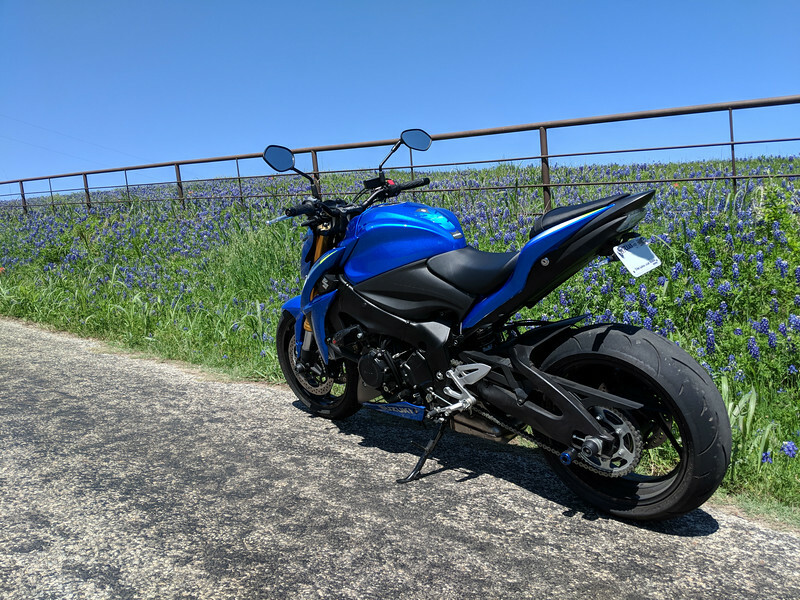 The Rizoma Turn signals dress it up even better. TST Industries makes a nice kit as well as many accessories that make the install a breeze. I would buy 3 of the Turn Signal plug kits if you are planning on doing new signals around the entire bike as well. They plug into the OEM harness and give you bullet connectors which let you just pull them out to go back to factory without the need to cut or splice. I went this route and was able to connect everything without running new wires or splicing in to anything. I did have to put bullet connectors on the plate light wiring to get it to connect to the signal plugs. Side note: The bike really likes to throw water super high and up your back with the fender gone. 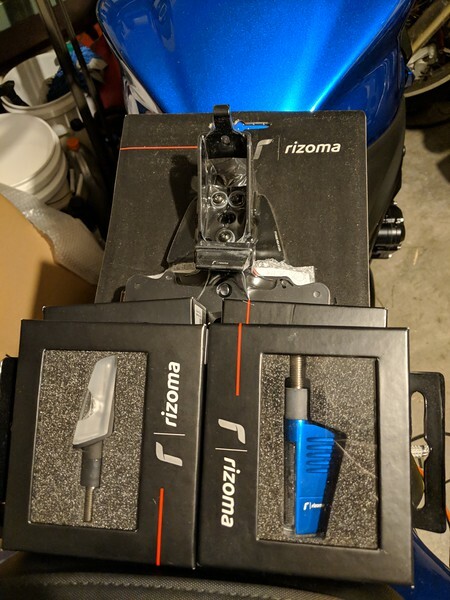 I went with the Rizoma non adjustable fender eliminator. I don't think you can get the non adjustable anymore as I think they were discontinued. The adjustable one sticks down a bit more and doesn't tuck up as nice, so that's something to consider. Build quality is fantastic with the Rizoma though and my only complaint was the amount of space for the wiring was just about exact, if not a little on the tight side. That was probably the only issue I had with the install. But the finished product was all worth it. I also bought Rizoma signals, but needed to hit the local shop for some generic adapters to run from the stock connectors. Rizoma signals did come with the resistor packs though and were pricey but very high quality. I'm seeking the same thing as the OP. 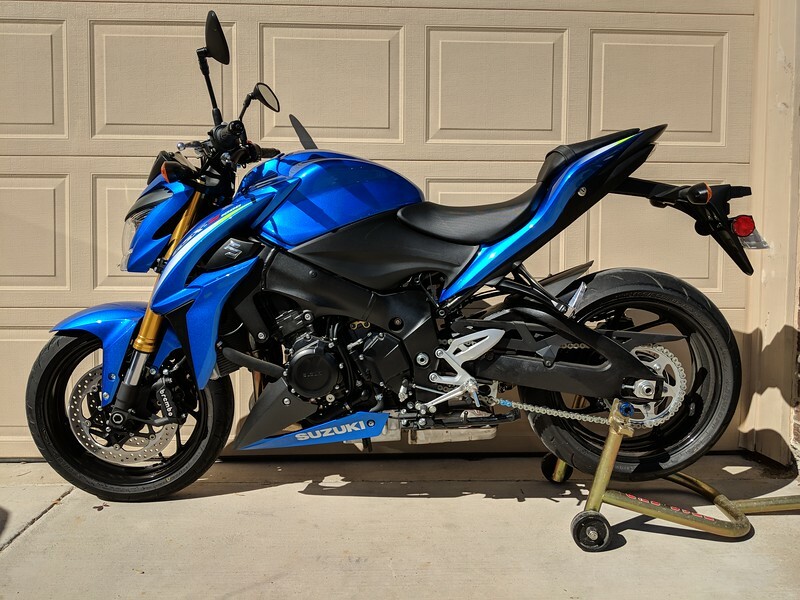 So far, I'm liking the kits by TST, Vegabond, and Ccustomized Bike Parts on Amazon. TST looks the best IMO, is very low profile, and I like the plug and play connectors... but it's the priciest. Vegabond isn't the prettiest but it seems like an okay cheaper option if you plan on keeping the OEM pumpkin turn signals. I like the price and aftermarket turn signals of the CBP but you need to make your own connectors or splice the OEM's. Last edited by gsxsdave; 04-02-2019 at 11:32 AM. I went with the evotech tail tidy. Really well made and sleek design. Pretty affordable too. Got a R&G one. Took it off and put the original oem back on to fit a tailbag system. The saddle bag wouldn’t fit with the tail tidy and also to keep the bag clean. One bad thing with a tail tidy. I got a cracked rear tail light lens and dirt on my back whenever it rains. ^^That's the thing with a "tail tidy"...it's keeps your tail anything BUT tidy. dekker, mike d and Gohard like this. Zactly why I haven't done one. They look great though! I've lost count of how many times mine has been on and off. At the moment it is lying in the back of the garden shed. Looks like it will be there a long time as I'm planning a couple of touring trips this year.